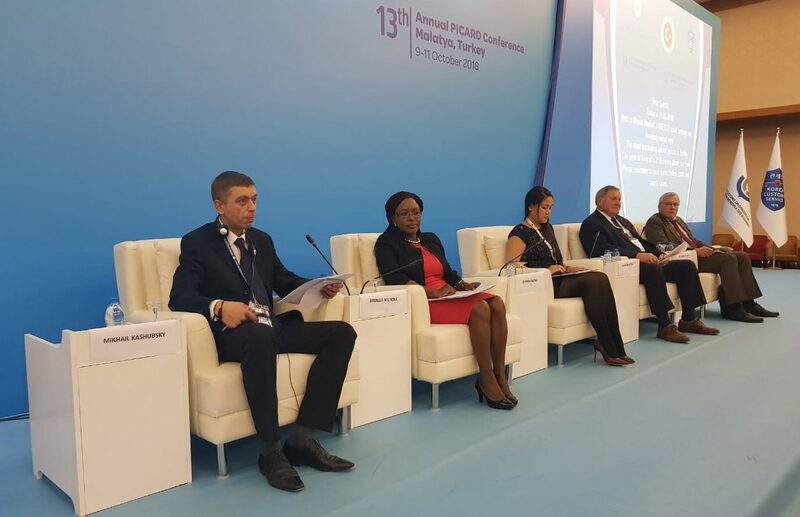 The 13th annual WCO PICARD Conference took place from 9 to 11 October 2018 in Malatya, Turkey and was organised by the World Customs Organization (WCO) in with the support by the Korea Customs Service and hosted by the Ministry of Trade of the Republic of Turkey. The Conference was organized around more than 50 presentations by high-level speakers from academia, governmental and private entities, and think-tanks, which were selected from over 100 submissions in response to a Call for Papers. The conference was attended by more than 200 participants from around 65 countries, representing Customs administrations, the academic and research communities, international and regional organisations, and the private sector. As in previous years, the 2018 PICARD Conference was attended by many INCU members and affiliates from various parts of the world. The conference started with opening remarks by Mr Jaeho Jung, Korea Customs Service’s Director of Multilateral Cooperation, Dr Kunio Mikuriya, WCO Secretary General, Mr. Bulent Tufenkci, Former Minister of Customs and Trade/current Member of Parliament, and Mr Fatih Metin, Deputy Minister of Trade, Turkey. In his welcoming remarks, the Former Minister of Customs and Trade Mr. Bulent Tufenkci underlined the importance of this WCO event for the Turkish Government and Customs as a way to nurture new ideas that would support Customs in its efforts to adequately address current challenges at borders, in particular the threat posed by terrorism, illicit trade, and organised crime. 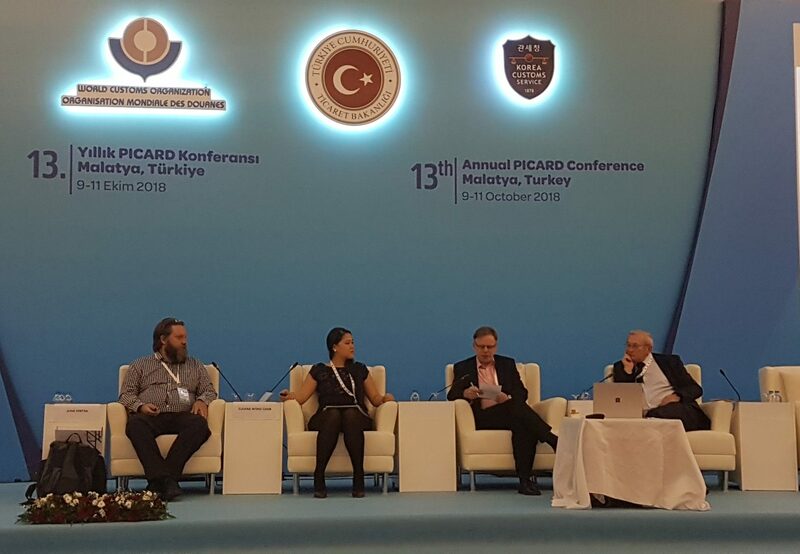 In his address, Secretary General Mikuriya expressed his gratitude to Mr. Fatih Metin, the Deputy Minister of Trade and his team for hosting the PICARD Conference, extended a warm welcome to the participants, and thanked the Korea Customs Service for supporting the participation of some of the speakers. A number of INCU members and affiliates actively participated in the Conference including delivering keynote addresses, presentations, and chairing and leading panel and roundtable discussions. Collaborative Research Projects: Customs and Academia. Head of INCU Secretariat, Dr Mikhail Kashubsky, led a Roundtable discussion on “The Global Customs Research Initiative” and a roundtable discussion on “The Future of WCO PICARD Professional Standards”. In the roundtable on the Global Customs Research Initiative the discussants were: Dr Thomas Cantens (Head of WCO Research Unit), Dr Andrew Grainger (INCU Management Committee member) and Dr Mikhail Kashubsky (Head of INCU Secretariat) who shared their ideas and views with the conference participants about how to further expand research cooperation between the WCO Research Unit, INCU, customs administrations and academic institutions; how to promote interdisciplinary approaches to research in the field of customs, border management and international trade; the next steps to take in order to drive this initiative forward, some ideas about the proposed operational methodology/framework for this initiative. In the roundtable on the WCO Professional Standardsother roundtable members included Ms Brenda Mundia (WCO, Belgium), Ms Susana Wong, (Cross-border Research Association, Switzerland and University of Costa Rica, Costa Rica), Prof Aivars Krastins (Riga Technical University, Latvia), and Dr Christopher Dallimore, University of Münster, Germany who provided a general overview of the upcoming updates to the standards and some specific details about the changes and explained reasons for introducing those changes. In closing, participants joined the WCO in expressing their gratitude to Turkish Customs for its outstanding hospitality and efforts in making the 13th PICARD Conference a great success, while conveying their satisfaction with the Conference’s outcomes, which provided ample food for thought and new networking opportunities. As part of its broader outreach strategy to bridge the divide between academia and Customs, the WCO streamed many of the Conference’s sessions live via its YouTube channel, the videos of which are now available to the public. Immediately, after the conclusion of the Conference, the INCU held its 2018 Annual General Meeting which was attended by several INCU members and members of the INCU Management Committee.